Amazon has today again came with a contest named as "Amazon T20 Quiz". This time this contest is for cricket lovers and. 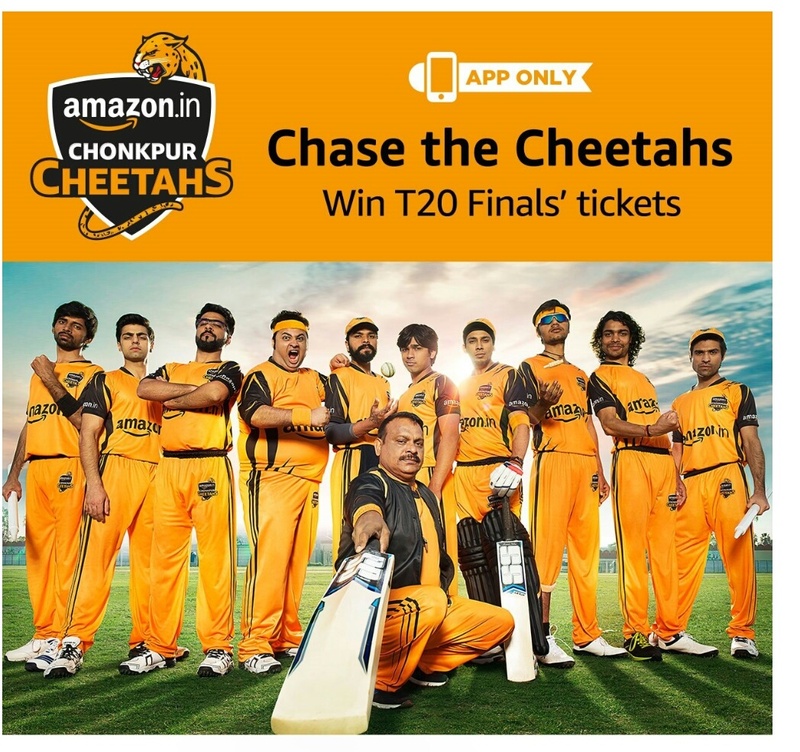 In this Amazon contest You can win IPL T20 Merchandise. Today on 16 april amazon continued the game T20 quiz and the answer are added. So check your answer and Play the T20 Quiz on amazon. 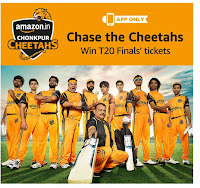 How to Play Amazon T20 Quiz? Sign in to the Amazon App. Ques:Which team holds the record to have the most sixes (104) and most fours (184) in the IPL series? Ques:Who is the Bollywood star who co-owns KXIP ? Ques:Who holds the record for the highest individual score in IPL so far? Ques:Who among these is NOT a Captain of an IPL team in IPL'17 edition? Ques:Rajasthan Royals presently holds the record for lowest total in an IPL match. What is the score? 1) How many teams are participating in the IPL this year? 2) Who has won the most Man of the Match awards in IPLs so far? 3) Who was the player of the series in IPL’s 2016 edition? 4) Who presently holds the record for making 50 runs the fastest in IPL? 5) Where will the finals for IPL’17 be held? 1) Which player has played the most matches for Kings XI? 2) Who scored the first century in any IPL match? 3) He is the most expensive signing in IPL history, fetching $2.67m at auction. Who is he? 4) Who is the IPL's all-time top wicket-taker with 143 wickets? 5) Who scored the fastest half-century - from 15 balls - in IPL history? Q1. Which year was the first edition of the Indian Premier League held in? Q2. Who was the first player to complete 2000 runs in IPL matches? Q3:, Who scored the first century in an IPL match? Q4. Kings XI have made it to the finals of an IPL season only once, who did they face in the final? Q5. RCB have the record for the most consecutive wins in the IPL (7). They share the spot with another team, which team is it? Moto Pulse 2 Wired Head phone. The Quiz Time @T20 ("Contest") is brought to you by Amazon Seller Services Private Limited ("Amazon" / "ASSPL"). Please read these terms and conditions ("T&Cs") before entering the Contest. (v) Duck Card which equals 0 runs scored and 50 of them may catch you by surprise on your chaseA customer will be entitled to a maximum of 2450 runs during the Contest Period.5 customers finding the maximum hidden cards during the Contest Period will become eligible to receive the T20 Finals’ match tickets for two each (hereinafter referred to as the "Prize").Eligible winners will receive an e-mail notification from Amazon and will be required to follow such other steps as mentioned in the e-mail to claim the prize.The winners will be announced by 21st April, 2017. How to see how much we have scored? yes , how to know the SCORE ?